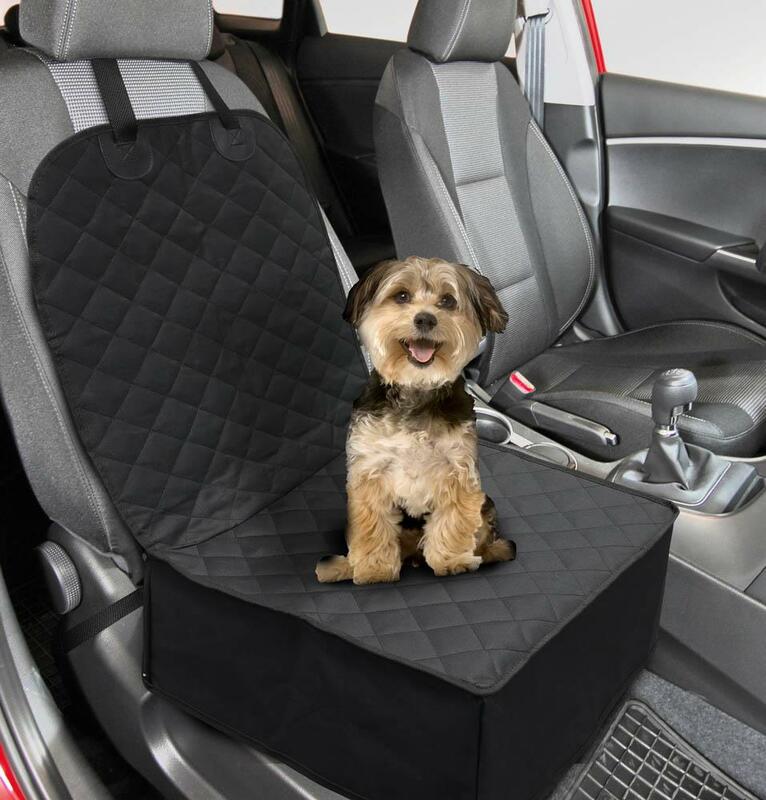 Protect the front seat of your car from pet hair and dander and keep your pup tucked in nice and cozy. 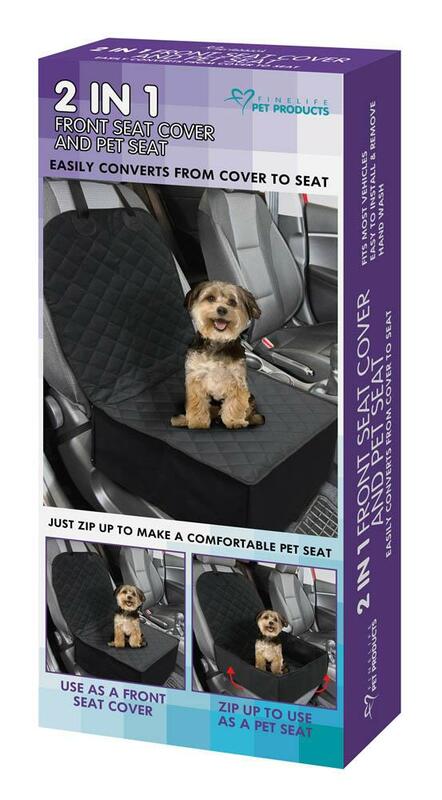 This pet car seat cover easily converts from a seat cover to a boxed in seat. 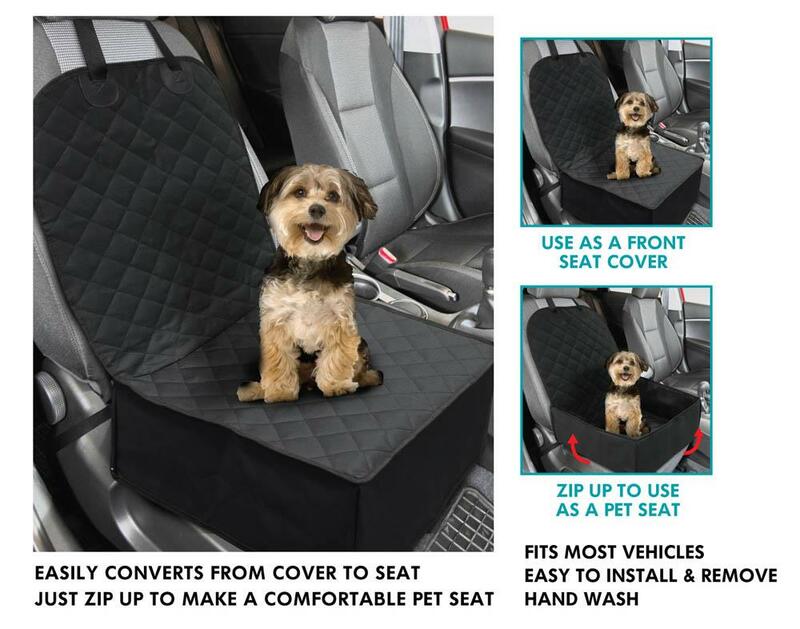 Zip up the corners to make a comfortable pet seat. 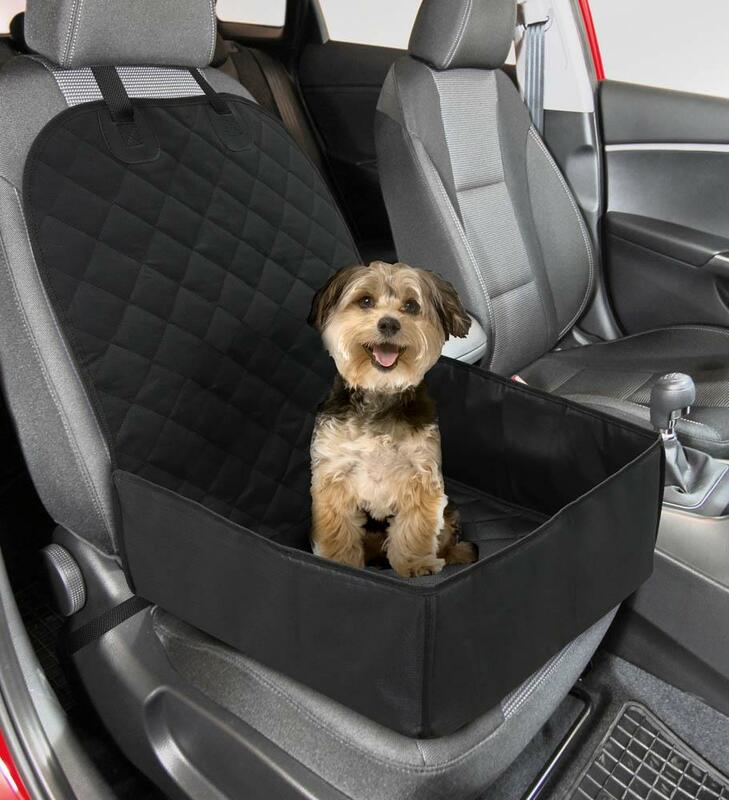 Fits most vehicles. Easy to install and remove. Hand wash in cold water with a mild detergent. Line dry.